When we are talking to entrepreneurs and aspiring bloggers we often hear the question “When should I start marketing?” Jonathan talked about this question in one of his recent podcast episodes. And with which marketing tasks should you start? So… When should you start? The answer is simple – you are already late: You should have started yesterday! Or even better: Last year! And if you missed that: Today – at the latest! When we started our first business, I was not on social media at all. I registered on Twitter to give our newly created company Twitter account a first follower. Three years later my personal Twitter account was our most effective social media asset and I had about 100k followers on Twitter. And you know what? It came too late. If I had known before we started our business what I know today, I would have created my Twitter account the minute I thought about founding a business. Just think what one or even two years more time to build my Twitter audience could have achieved! You think you cannot start your marketing and grow your audience before you start your blog or business? So wrong! And it is certainly not just Twitter. There is a lot more that you can do before you have a business. Your marketing should start as early as possible. Because everything you can have for free and everything that you can scale big time without spending big-time money on it needs time to grow and prosper. You need time to learn. Running an online business can become a little lonely – just talking to your computer, your coffee mug and your best friend on the phone. Trying to explain your new venture to your mom and people in their nine-to-five lives can be tiresome – have you ever met a person who understands that “blogger” is a profession? Can any of your old school friends understand that doubling your blog traffic is a real feat and something to celebrate? Real-life networking events can help you to connect to likeminded people. You will look forward to share your fears, your struggles, your successes with people who know what you are talking about. You will get a ton of tips – and even if they cannot provide you with solutions to all your problems, just knowing that others have been there, that your life is real and that you can conquer everything will help you move forward! Before you publish your first piece of content you need to be aware of basic SEO. Even though SEO will probably not be your first traffic source, you can save yourself a ton of time if you are aware of what your content and website needs to give your content any chance of ranking and providing you with traffic. Of course, you can redo some things and optimize later on – no one starts out as an expert. But doing everything later will be much more of a hassle. 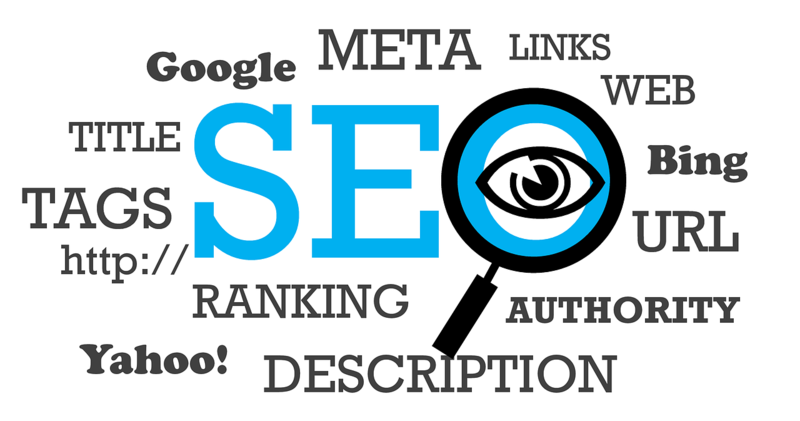 If you need some help getting started with SEO, Jonathan has written this post about it. It is not easy to choose the best content distribution channels for your blog or business if you have no clue about online marketing. That is what happened to us with our first business. We ended up trying everything at the same time -and not seeing any results. 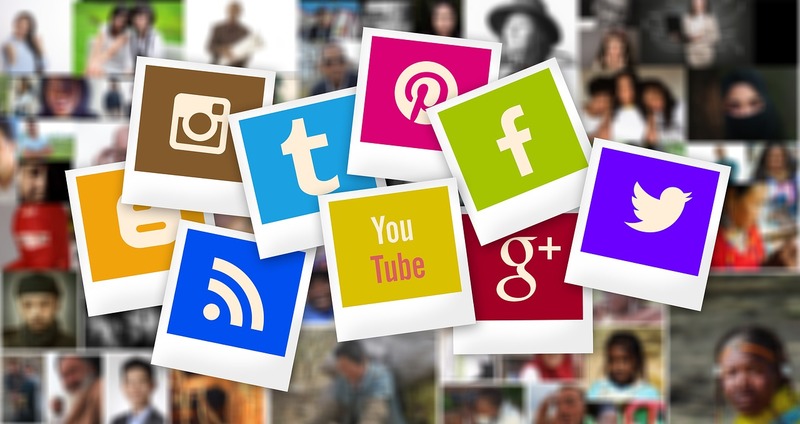 Before you start your marketing you need some basic understanding about social media marketing and the various networks, how they work, what is different and what suites your content and niche. If you don’t know how to figure out which social networks could work for you, read this. Niche forums are great for various aspects. You can connect to people from your niche. You will get valuable advice on your target group, where your audience is active, what marketing channels other businesses from your niche are using, what type of content they are using. You can ask questions and directly connect to people either as potential customers or blog readers or as colleagues, friends and even guest blog hosts. Once you started your blog or have your product, you may even be able to give it a little extra promotion in the forums and groups you are already active in. Just keep in mind to follow the rules of the forums concerning promotional posts. If you are still unsure what your best option for blog or content distribution is, check what your competitors do. Their strategy is probably a good starting point for your marketing strategy. You can figure out what your competitors do, decide what you like and if you don’t like what they are doing, decide what you would do instead. This way, you may even come up with a better marketing strategy than your competitors. Don’t be afraid of competition. There should be room for all of you. Treat competitors rather as colleagues or even friends. You never know when you can make good use of a good relationship with people from your niche. Now that you know a lot about SEO and Social media as marketing channels, plus, you know what your competitors are doing: Now is a good time to decide which blog or content distribution channels you want to use. Choose one or two channels rather than more and focus on understanding how these work. You can change the channel later if you realize that your chosen channels do not work for you as planned. Once you have one or two distribution channels working to drive you traffic to your blog or website, you can consider adding a new channel to the mix. Tip: Social media channels usually give you some traffic very soon after you started. SEO might take some time to kick in. Plus, if you get traffic from social media, your chances of getting SEO traffic increase. 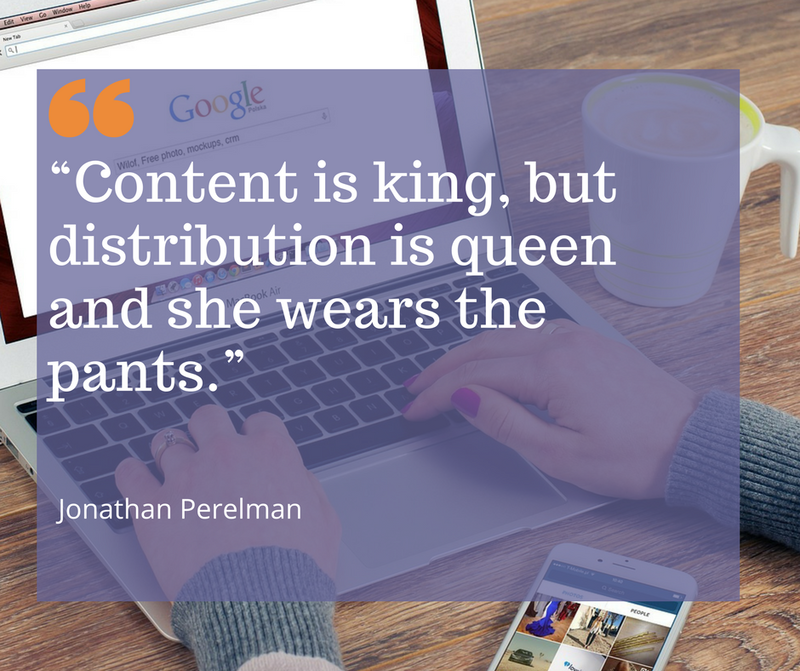 You will need content to grow your distribution channels. You will also want to know what is going on in your niche. The answer is to research competitors, fellow bloggers, and even potential customers from your niche who publish content. This content will be a well of inspiration for your own content production. The content from these content sources will also be the key to growing your audience while you do not have enough own content (or none at all). Yes, you can absolutely grow your audience BEFORE you have a blog running or a product to sell. And you should do exactly that: Grow a targeted audience in your niche. The benefit of already having an audience when you are finally ready to launch your blog or product is obvious: With an audience, someone will actually care that you launch. You can use the content sources that you collected in #8. to provide value to your target audience on your social media accounts. 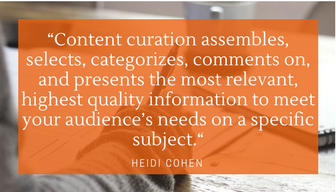 With this curated content, you can keep your accounts active on social networks like Twitter, Pinterest, and even Facebook. You can actively grow your audience in these networks – if your account provides value. And you can do that with curated content. This is a little tricky. Don’t stalk influencers with information about your product. But you may well be able to get on their radar in a discussion or with a thoughtful comment on one of their blog posts. You can also be helpful and hint them to problems with their website like a broken link or some editing issues. There are multiple friendly ways to get your voice into the mix and start building relationships with approachable influencers from your niche. Hint: The accounts with thousands or millions of followers are often harder to approach than the smaller ones. Your efforts to connect might get lost in between the millions of other comments. It is never too early to start your marketing. In fact, the earlier you start the better. 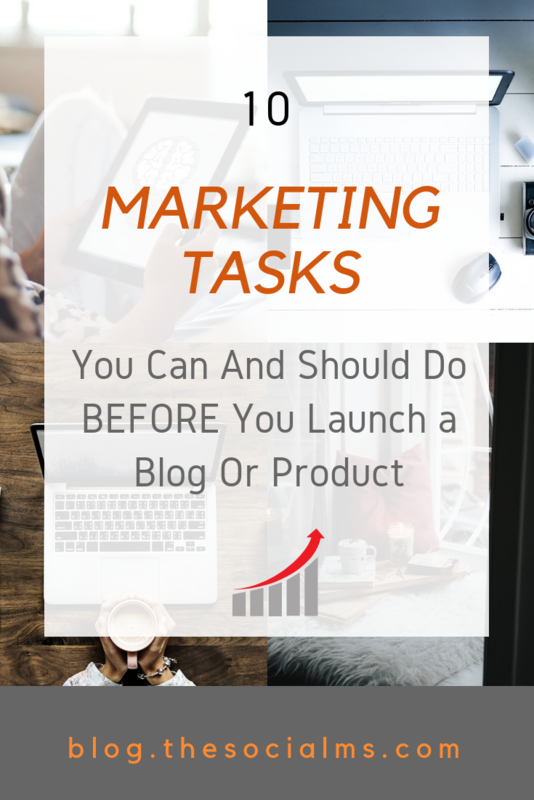 And since one very common problem with bloggers and entrepreneurs is that they neglect their marketing and wait far too long to build their audience, you can acquire a huge competitive advantage by spending some thoughts on your marketing early on. 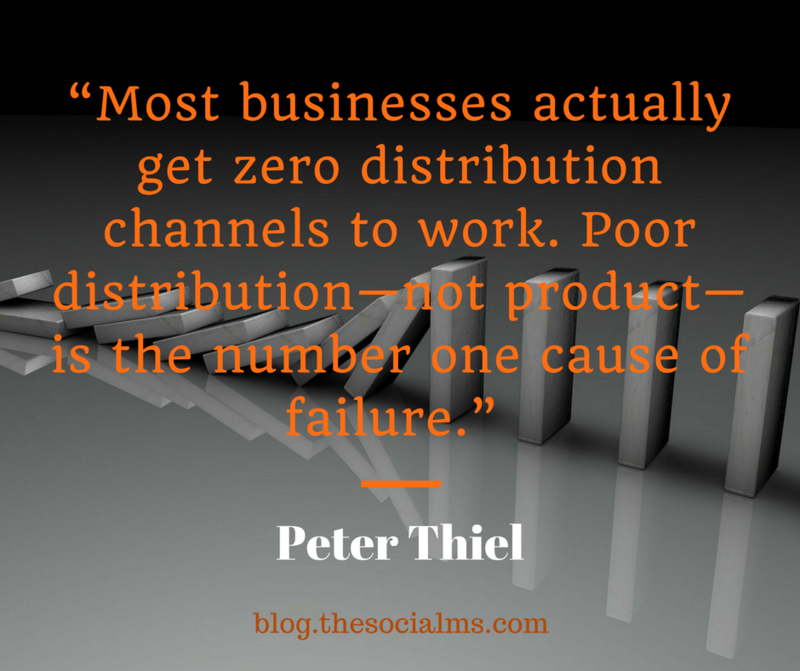 Just keep in mind that the number one reason for failure is not a bad product (or blog) – it is the lack of distribution. 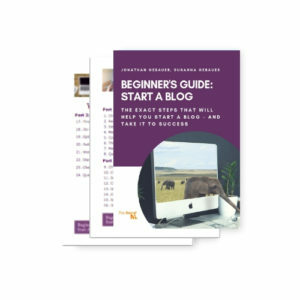 Are you ready to start your blog? Let’s do it together!